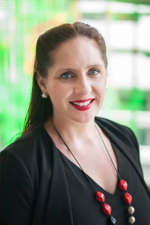 Dr Misty Jenkins is a NHMRC fellow and laboratory head at the Walter Eliza Hall Institute for Medical Research in Melbourne, Australia. Misty researches in the area of immunology and cell biology, and understanding how immune cells kill cancer cells. 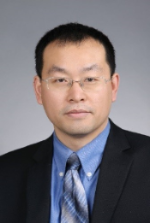 Professor Zhiwei Shan is the Dean of School of Materials Science and Engineering, Xi'an Jiaotong University (XJTU). His research includes the side effect on mechanical behaviour of materials, hydrogen embrittlement and magnesium based advanced materials. Invited speakers to be announced by end of January! For 50 young scientists there is an exciting opportunity to attend the IFSM Young Scientists Assembly. Previously known as the IFSM School, this day long program is being organised exclusively for IFSM Young Scientists. This program is open to all PhD students and researchers in their early stage of career who completed their Ph.D. within five years from the date of the Congress. Applications now close on 1 March 2018 - We encourage you to submit your application today! The IMC19 Scientific Program Committees invite you to submit abstracts for consideration into the scientific program. Abstracts may be submitted for oral and/or poster presentations. Submissions will encompass four main program streams – Life Sciences, Physical Sciences, Instrumentation and Techniques and Frontier Issues. Authors will then need to select a Symposia Topic within their chosen Program Stream that best encapsulates their work. Please click here to view the Program Streams in more detail.